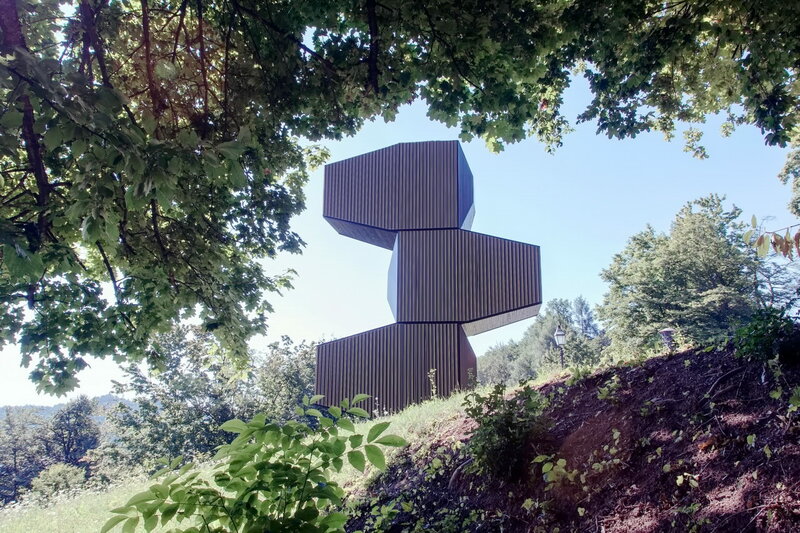 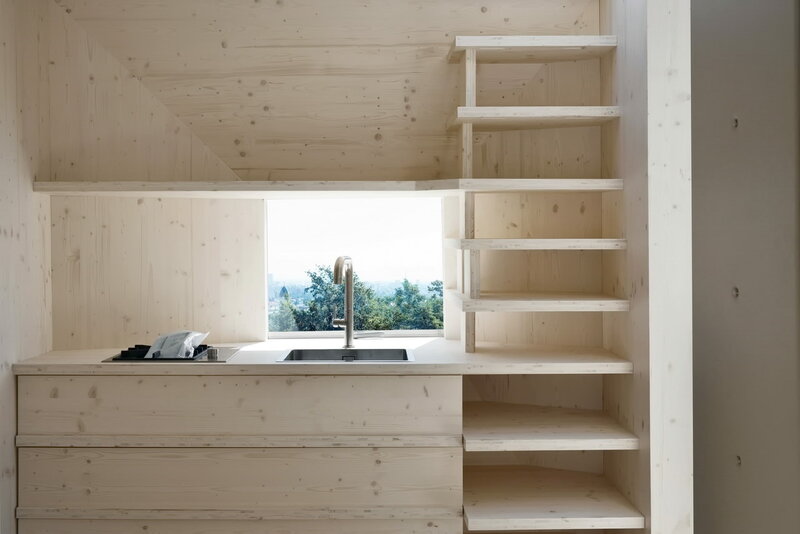 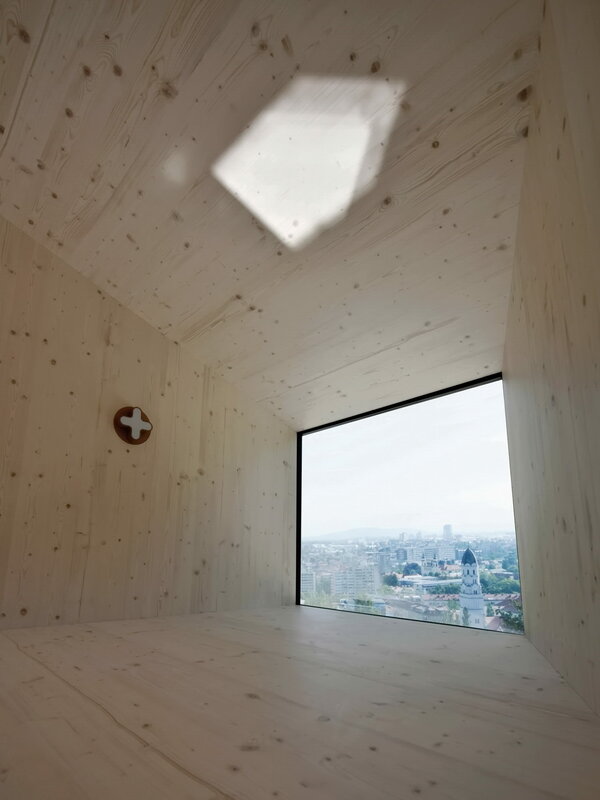 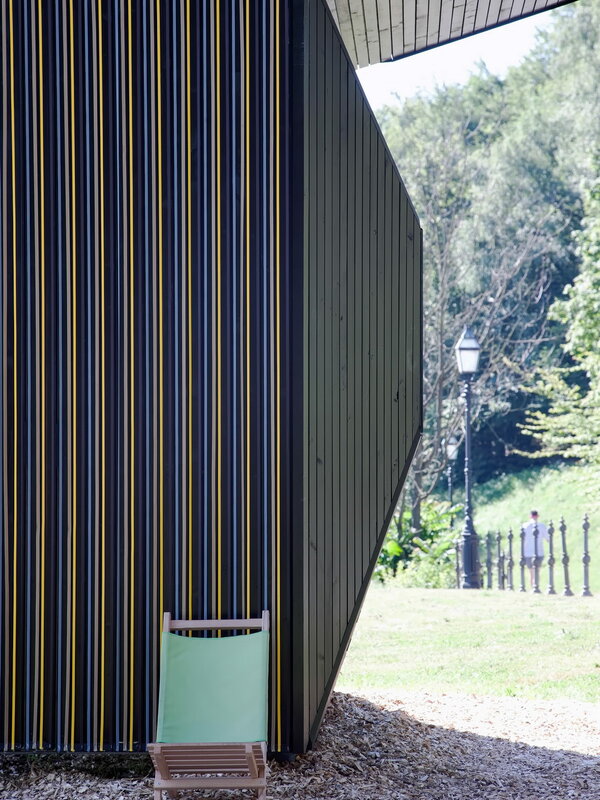 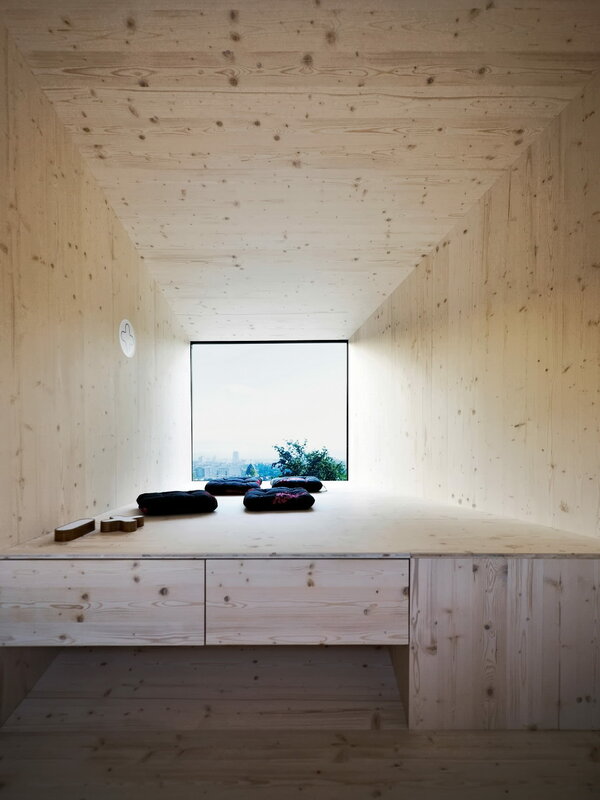 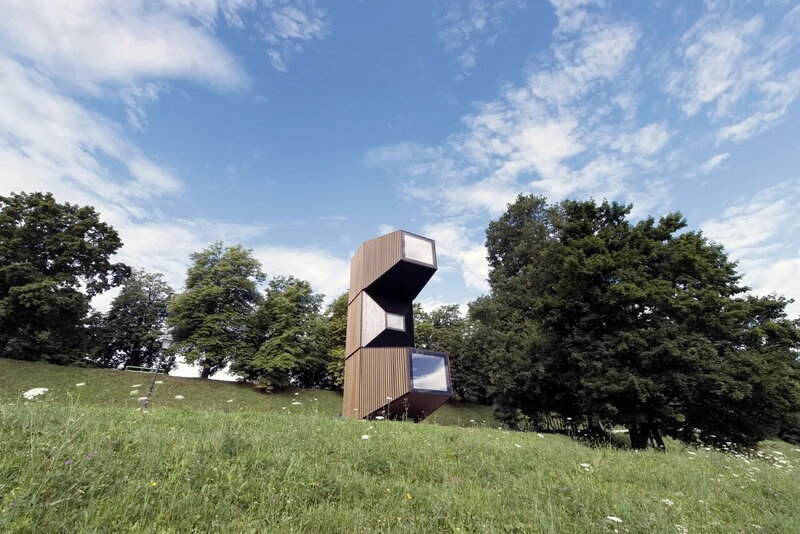 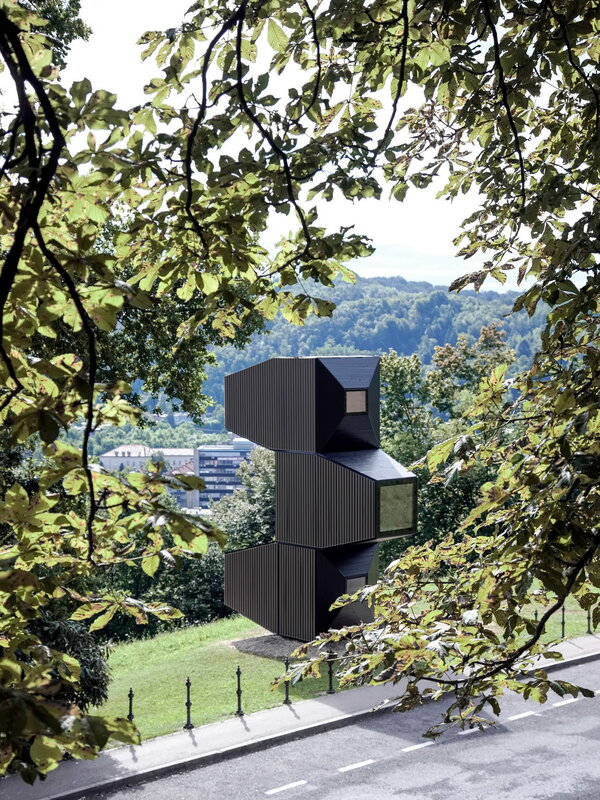 The research for the Cabin was initiated by OFIS architects & Permiz, C+C, C28 and AKT to develop self-contained wooden shell, flexible and adaptable on different locations, climate conditions and terrains. 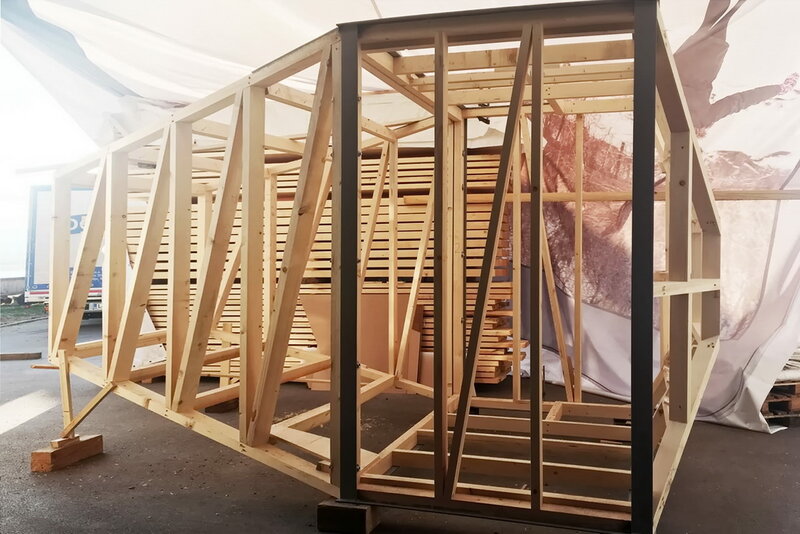 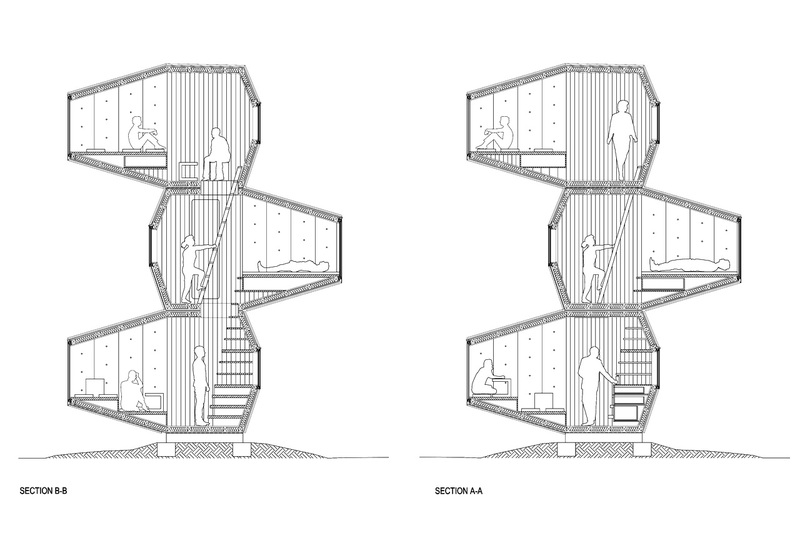 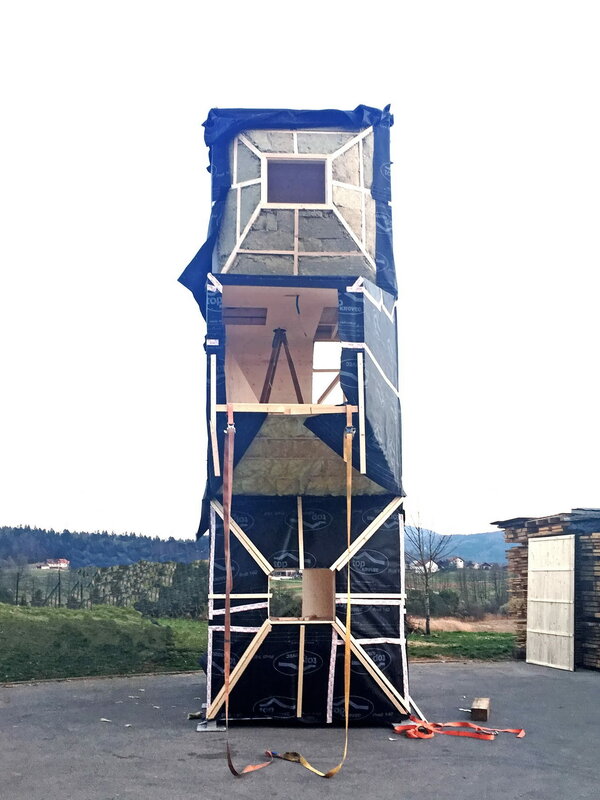 It can be used as holiday cabin, hide away, tree house or short-time habitation for research, tourism or shelter; its small size allows easy and different transport possibilities. 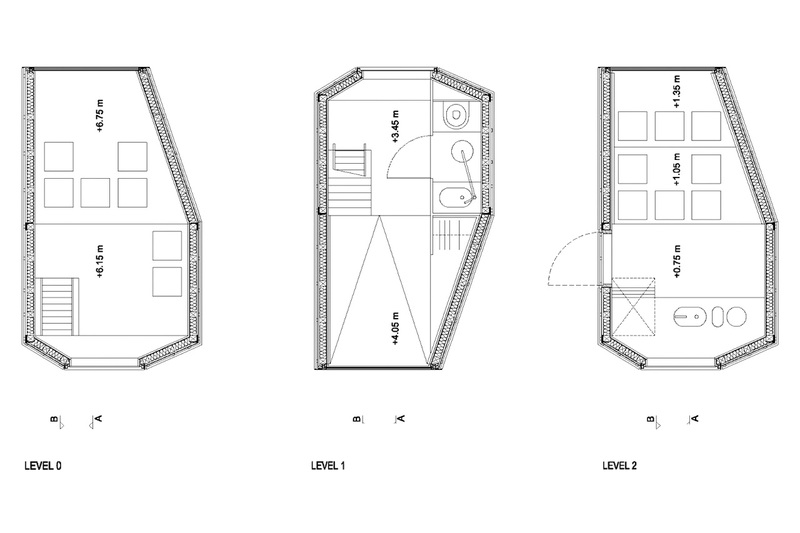 The basic unit (4.50m X 2.50m X 2.70m) offers accommodation (with kitchen, bathroom, bed and seats) and joins horizontally or vertically and upgraded to twins, triplets or similar. 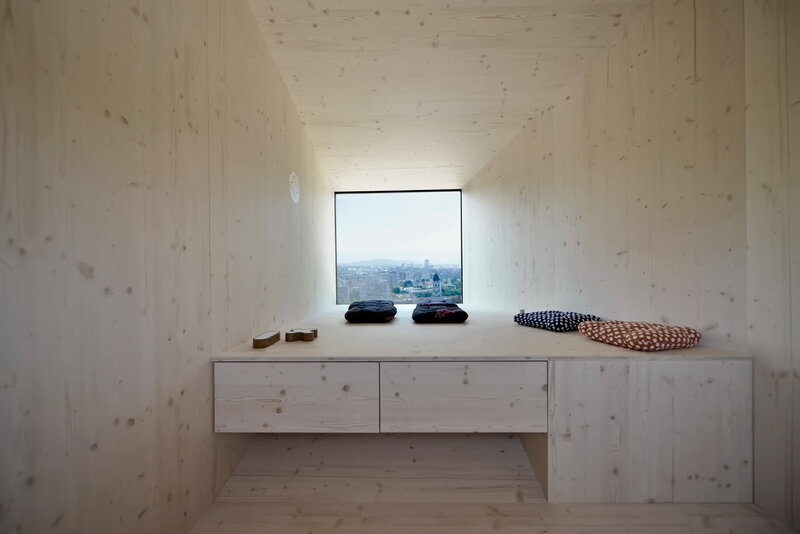 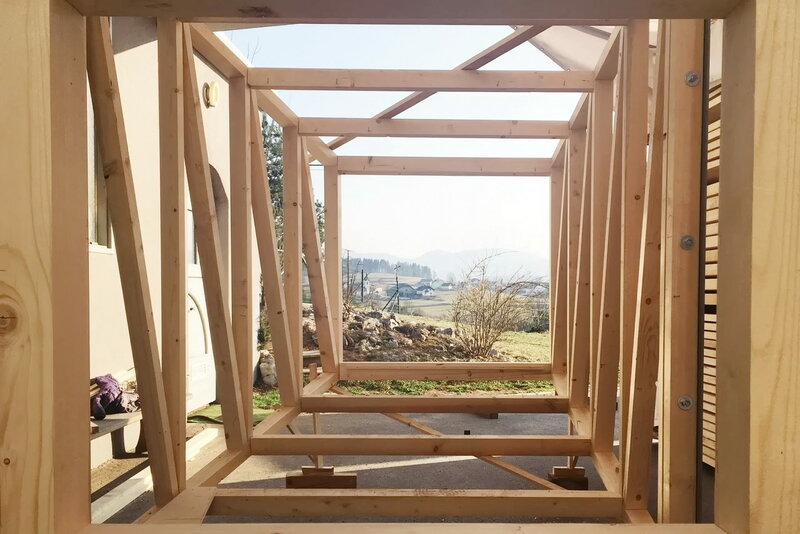 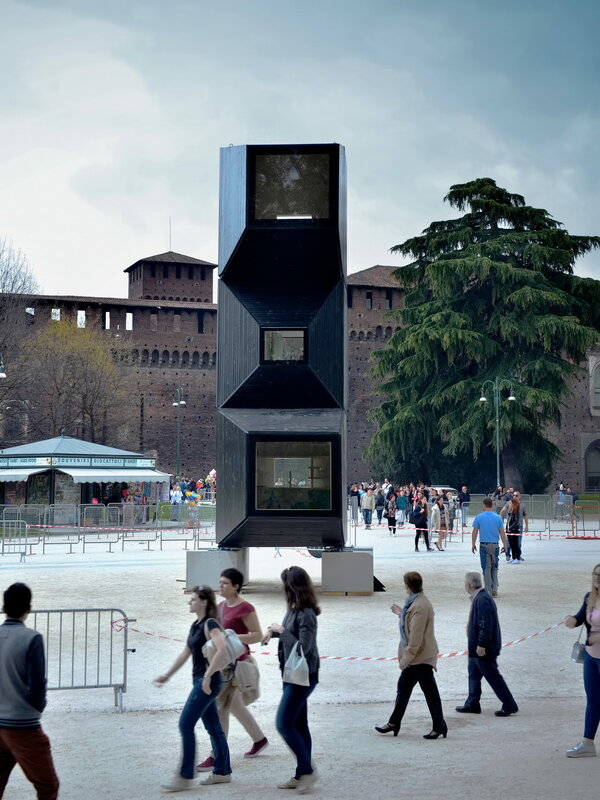 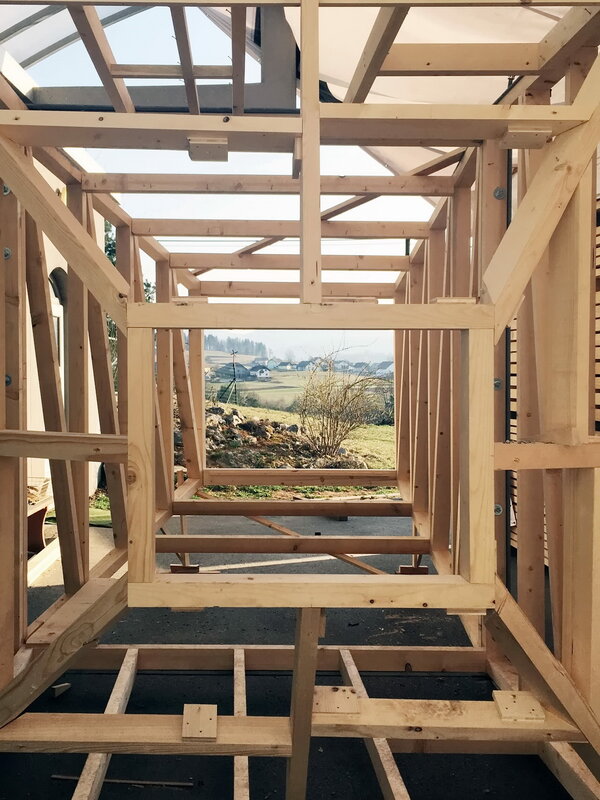 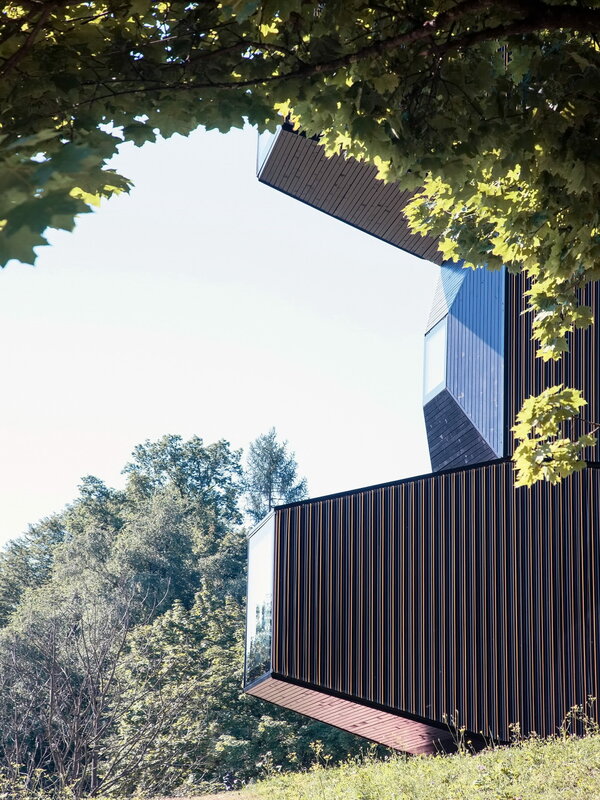 The structure is made by timber frames which are reinforced by plywood boards on both sides. 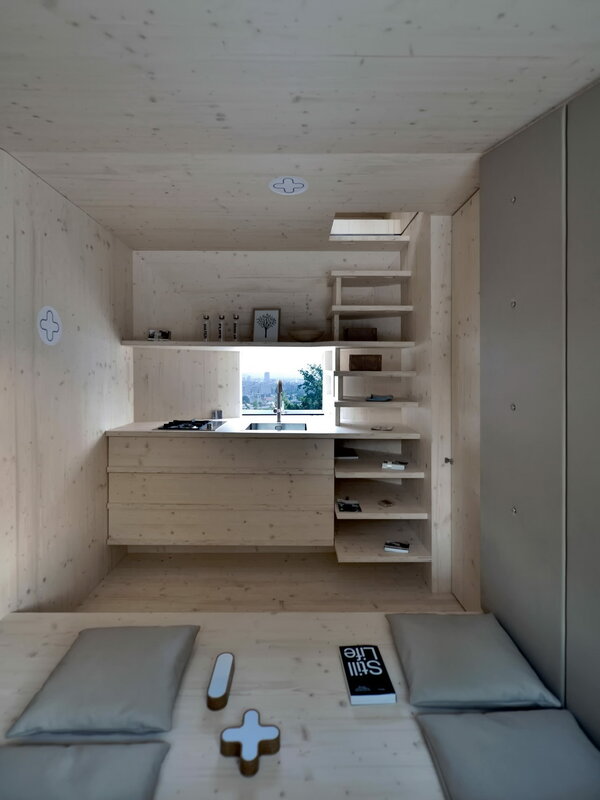 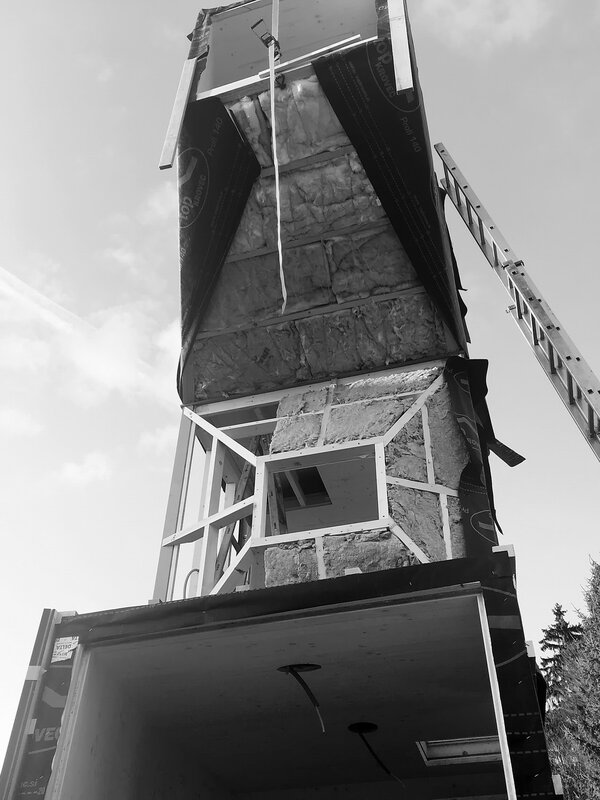 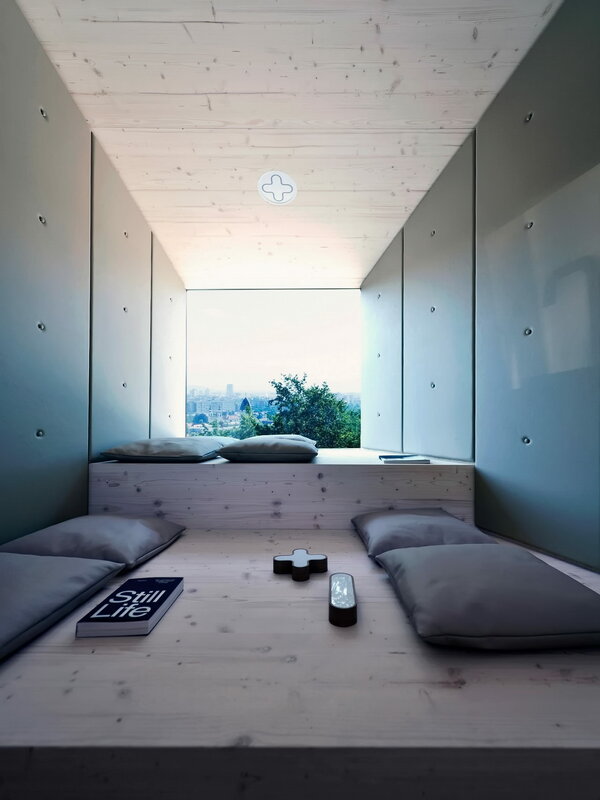 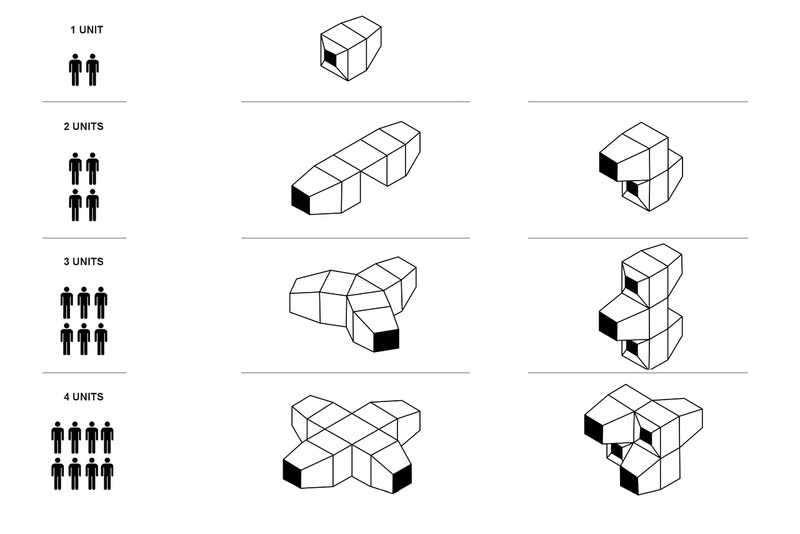 The cabin can be fixed on the ground either by steel anchors or removable concrete cubes. 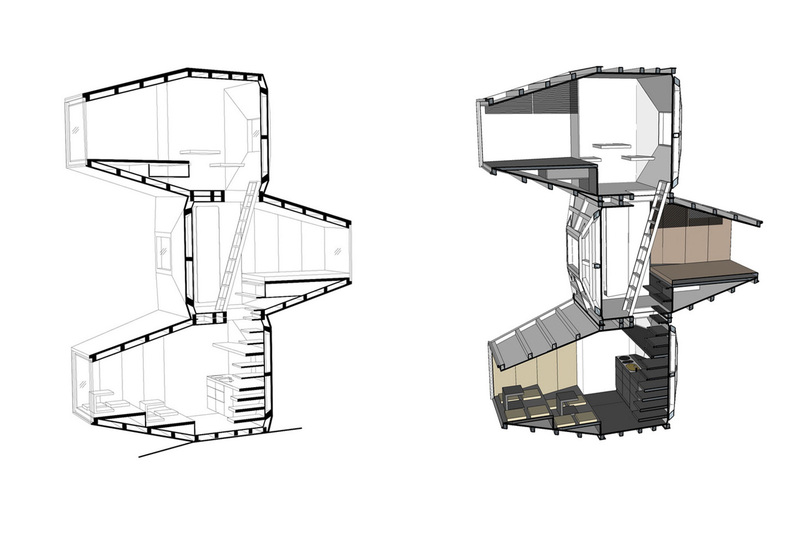 The interior treatment is changeable and flexible. 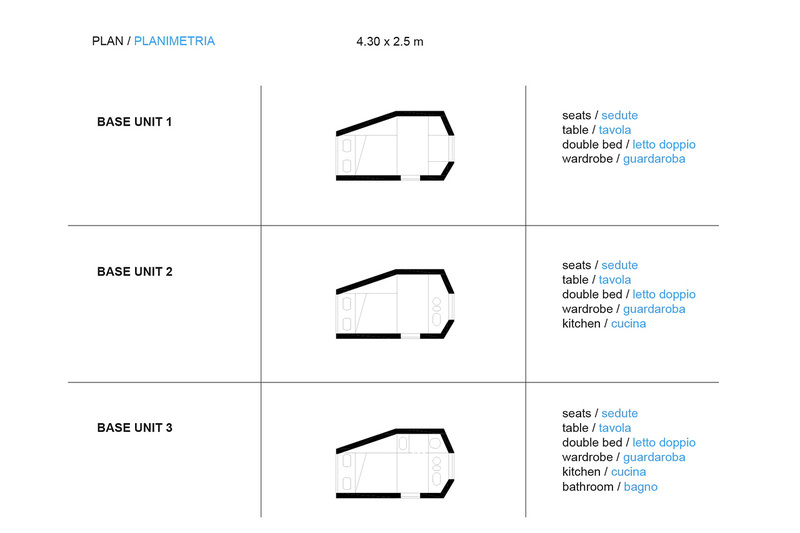 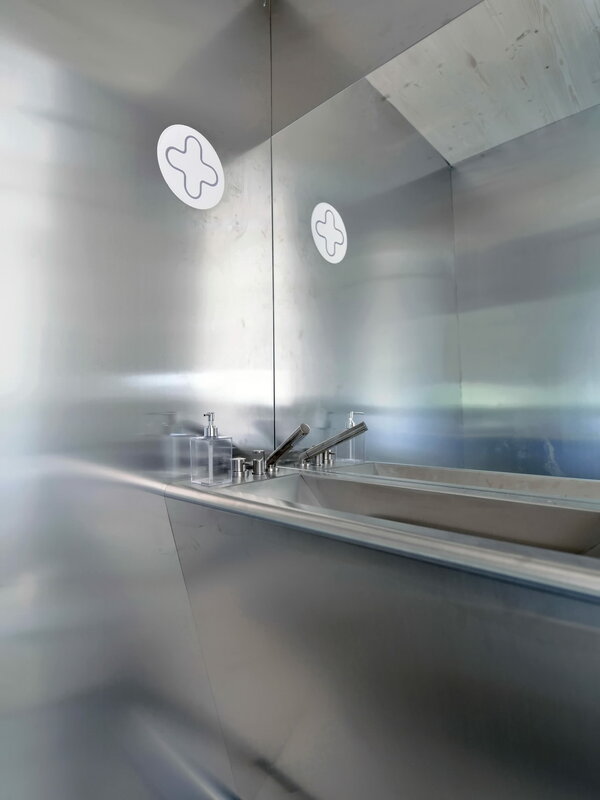 Unit furnishings can be used in various site contexts. 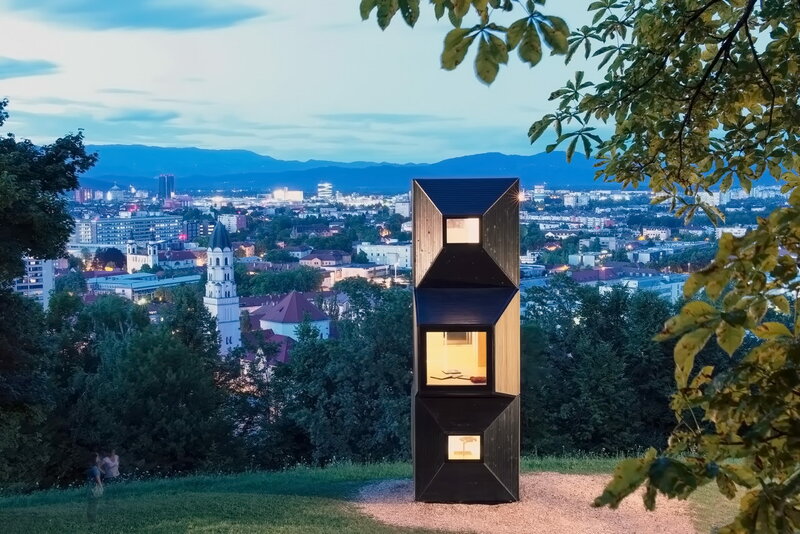 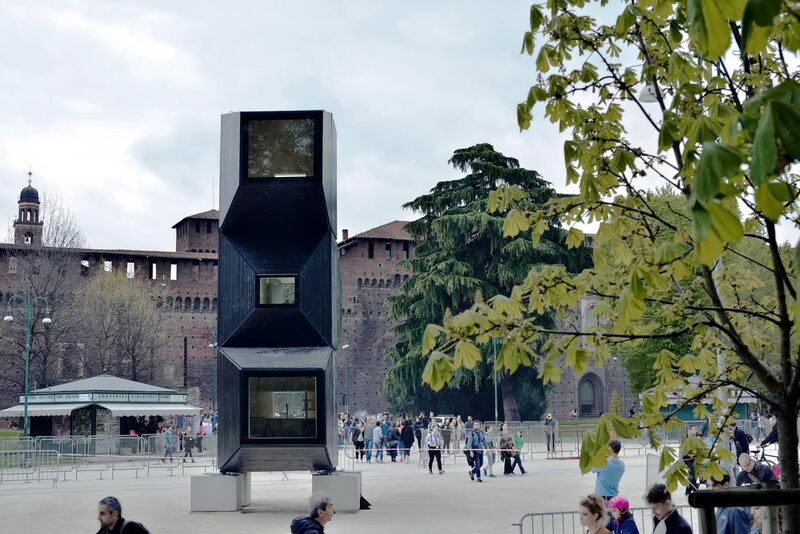 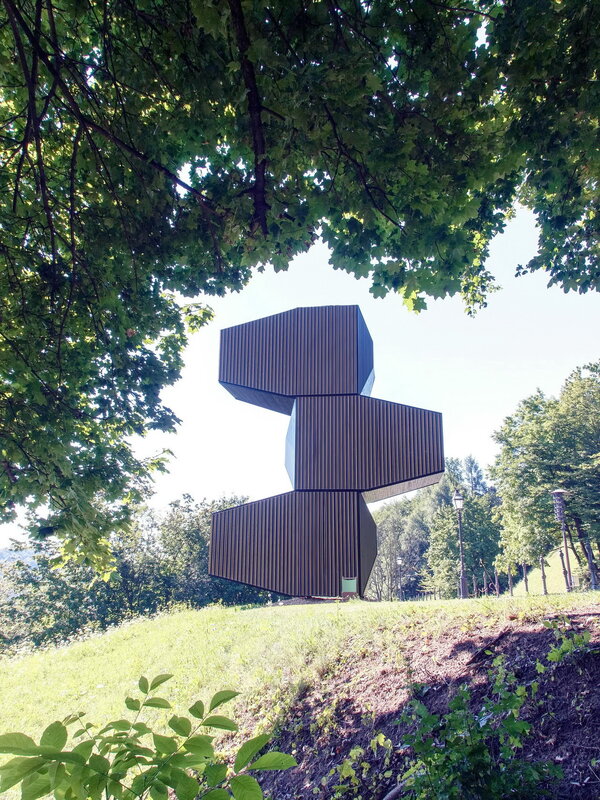 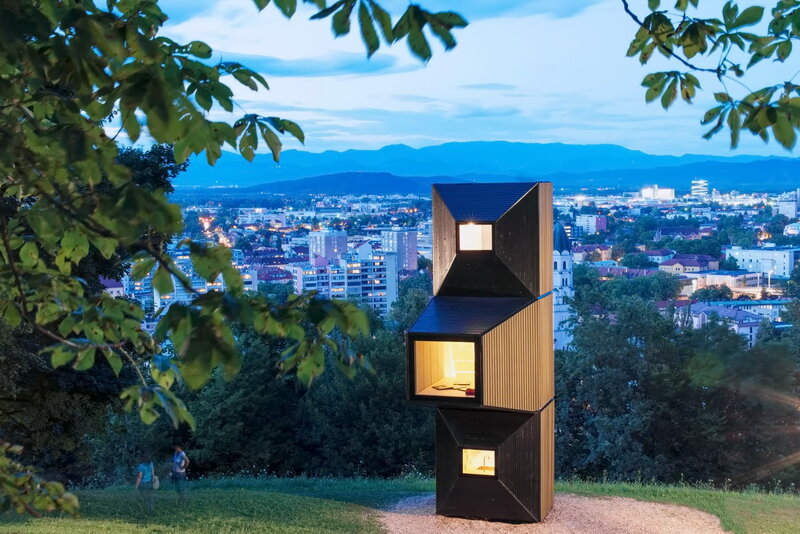 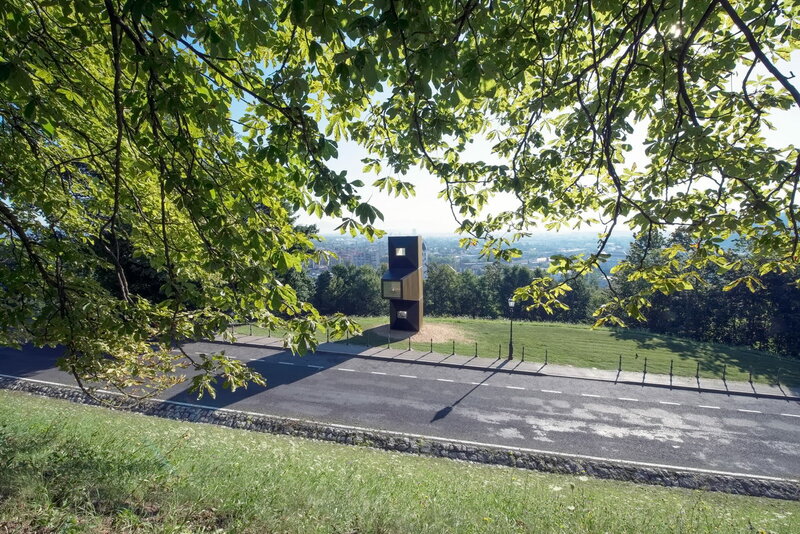 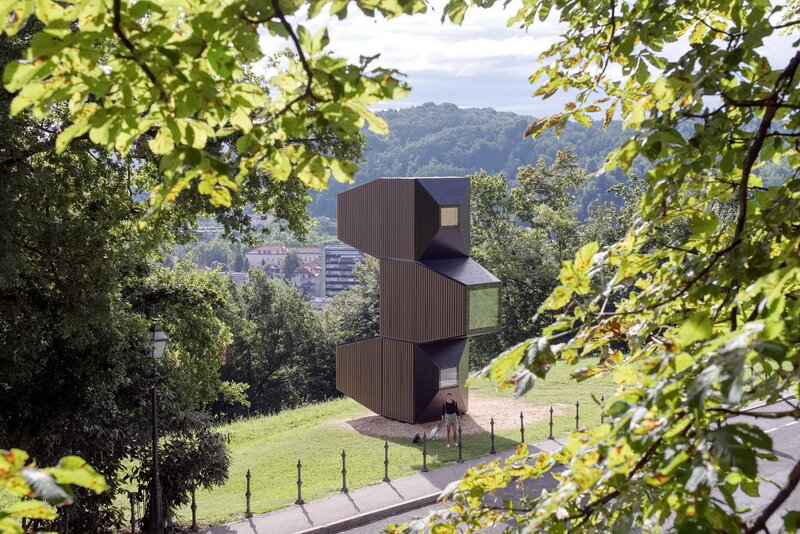 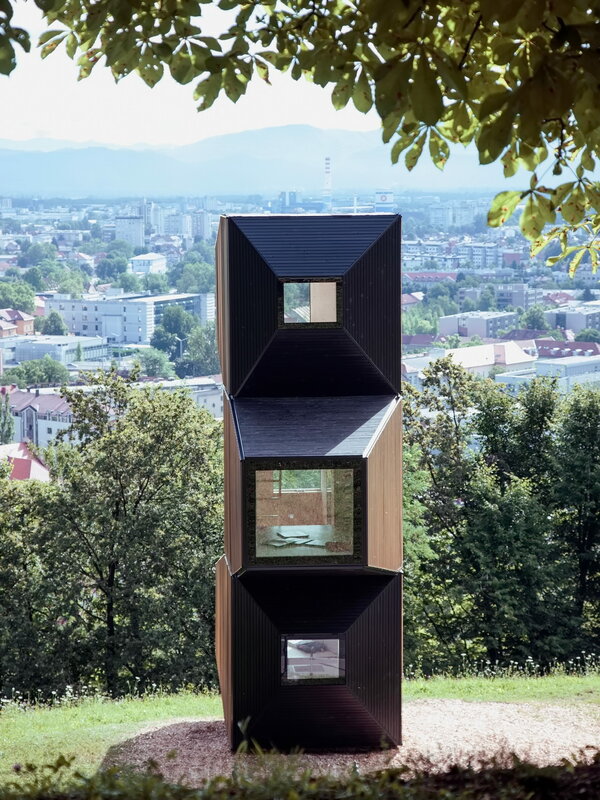 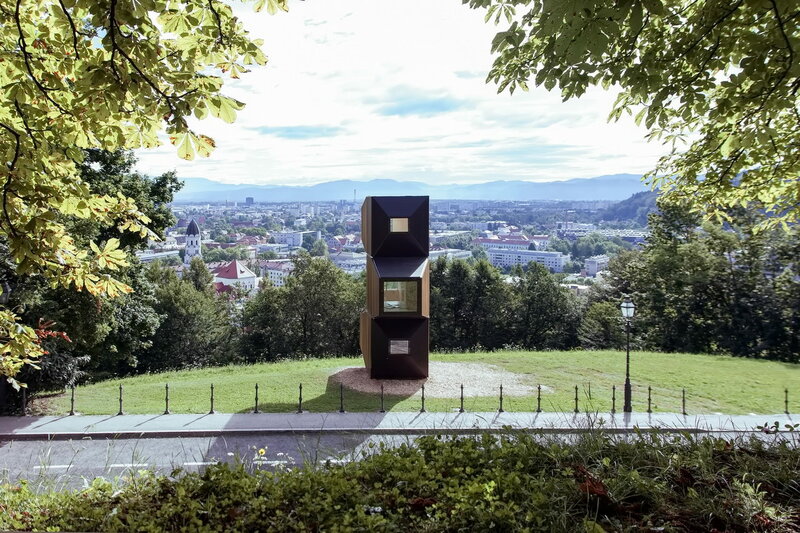 The Ljubljana castle will serve as a temporary library - a vertically organized unit, each floor will contain books of various topics. 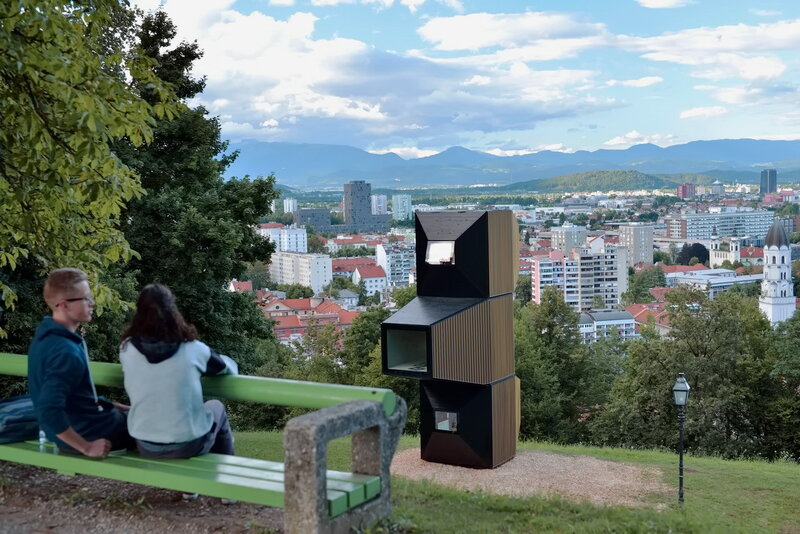 The underpasses with a beautiful view of Ljubljana serve for reading and rest, similar to the concept of the Library under the canopy - the readers will enjoy the books under the chestnut. 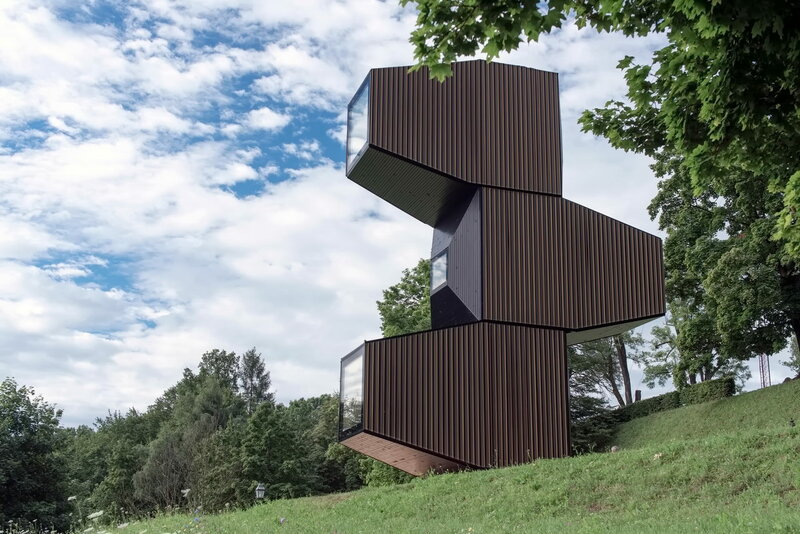 The facility - both equipment and construction and facade promote Slovenian woodworking and traditional skills of wood crafts and carpentry.